The interior of the home is without a doubt, one of the most impressive examples of living space in the log home industry. The home is precisely positioned to magnify the view of Mt. Shasta and Lake Siskiyou which can be seen from almost every room including the entire 1,700 sq foot deck. At the center of the house sits a "feature tree" that measures 8 feet in diameter at the base, and stands over 20 feet tall. The house also features natural stone and wood floors throughout. The living room fireplace mantel was cut from a giant boulder in a local quarry and weighs over 1,400 lbs. In addition to the mountain and lake, you can also see the Mt. Shasta Resort Golf Course, the Mt. Shasta Ski Park, the town of Mt. Shasta and surrounding areas. The 4th of July Fireworks can be seen from the deck as they explode over the lake at eye level. The retreat was precisely built with some of the largest logs ever provided by Pioneer Log Homes. Many of the logs are in excess of 36" in diameter. The exterior foundation of the house features a 3 ½ feet tall rock perimeter built with natural volcanic rock coming from a local source in the Mt. Lassen area. The fireplaces are constructed from the same native rock and feature large boulders, some weighing over 1,000 lbs. The property is situated at 4,000 foot elevation in the midst of native Pines, Oaks and Dogwoods. The family has spent five years planting thousands of Douglas Fir, Jeffrey and Ponderosa Pines. These trees surround the home and the half mile driveway that winds its way up through the property. In addition, approximately 75 Aspen trees have been planted near and around the home adding to a truly enchanted setting. 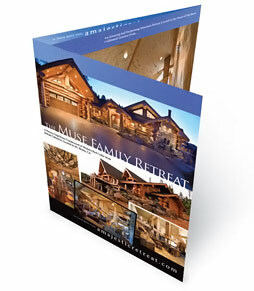 Invite the mountain to your event and your guests are sure to be charmed for life. Northern California is rich in history, culture and diversity. Our rivers are world renowned for trout and salmon fishing. We facilitate a vast array of outdoor activities including: boating, skiing, wakeboarding, hunting, hiking, biking and more.